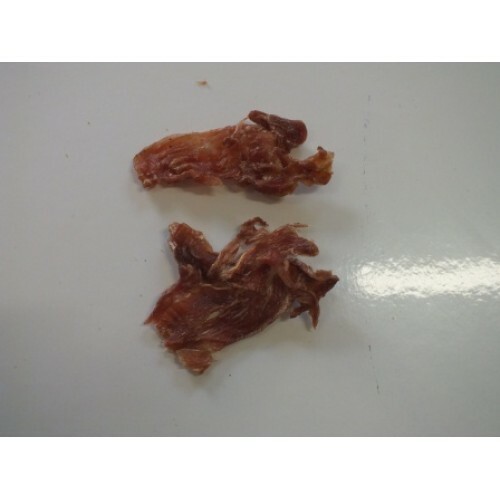 Our dehydrated rabbit meat is just that - pure 100% quality all-Australian rabbit meat that we dehydrate to perfection with absolutely nothing added. When you start with a farm fresh product you don't need to add anything, so, no salt, no sugar, no chemicals or preservatives and especially no colourings or flavourings.We can also be sure that there is nothing added prior to our manufacturing either - this means that you can be confident of a pure and chemical free product. We would recommend this product for dogs and cats requiring a low fat diet such as dogs suffering from pancreatitis, the low sodium and cholesterol qualities also mean that it is suitable for any animal suffering from heat and cardio-vascular problems.